The Dugout is a full scale replica of Salina's first home. In 1858 William Phillips built his dugout along the banks of the Smoky Hill River. 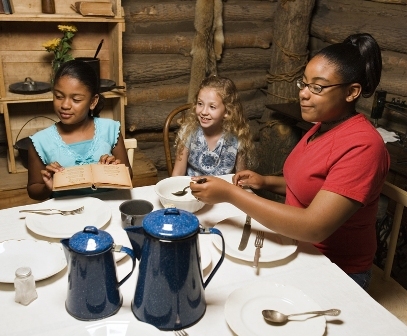 Experience some of what life was like on the 1858 frontier. 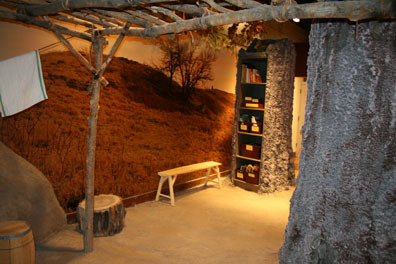 Imagine life in a one room sod dugout. Visit the Learning Tree to read books, complete the Seasons of the Smoky Hills Activity Pamphlet and test your knowledge of prairie animals. 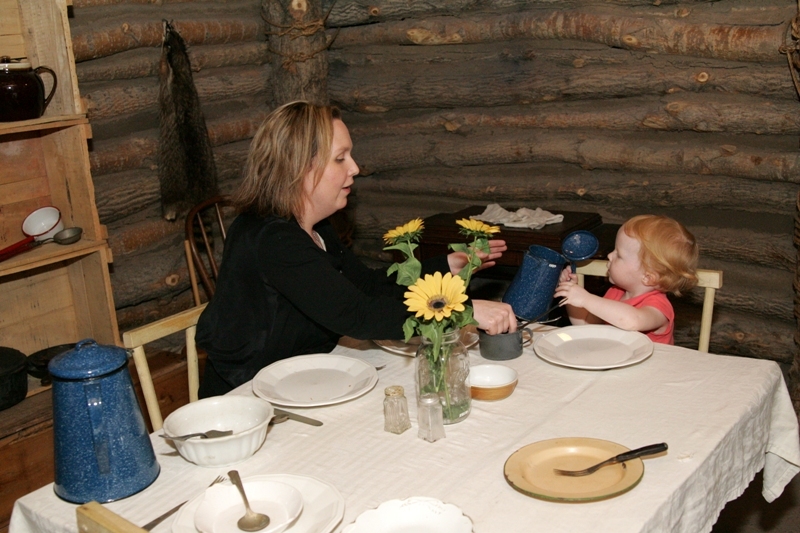 Experience some of what life was like on the 1858 frontier. 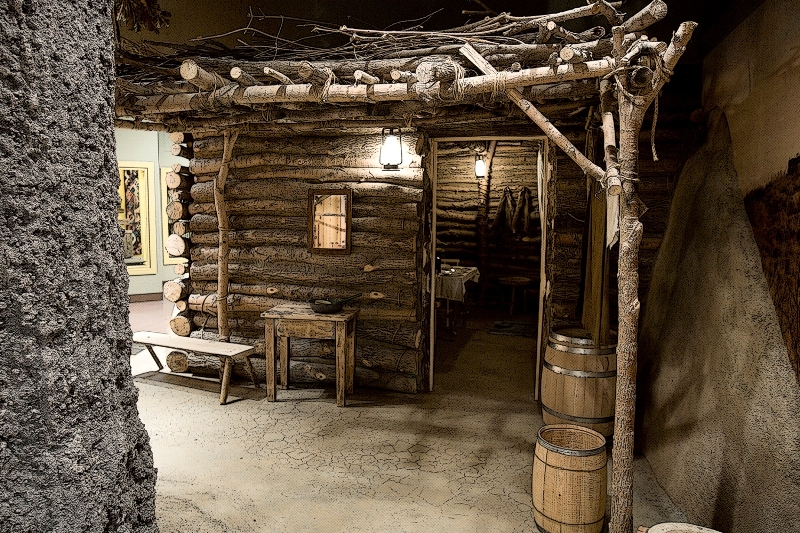 Imagine life in a one room sod dugout. 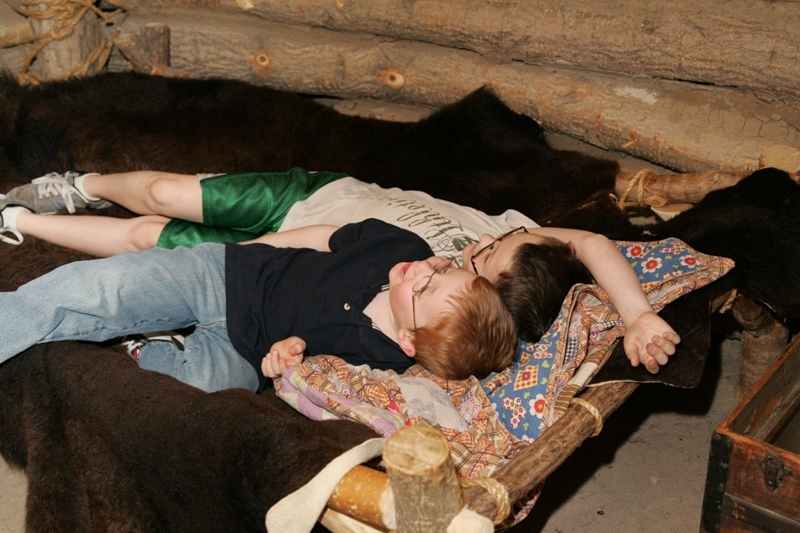 Try out the rope bed with buffalo robes. Visit the Learning Tree to read books, complete the Seasons of the Smoky Hills Activity Pamphlet and test your knowledge of prairie animals.